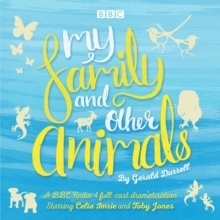 Celia Imrie and Toby Jones star in this BBC Radio 4 dramatisation of Gerald Durrell's much-loved comic gem. 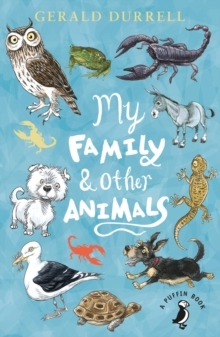 My Family and Other Animals is the classic tale of naturalist Gerald Durrell's magical 1930s childhood on pre-war Corfu. 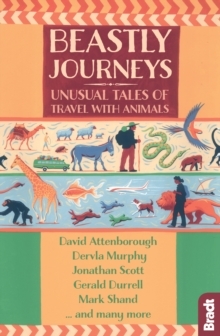 His descriptions of his eccentric family and his encounters with the local creatures are full of humour and charm, and the book has delighted readers of all ages for sixty years. 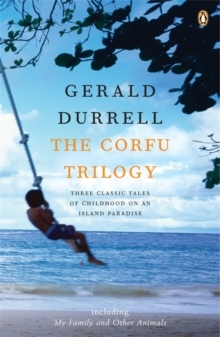 Ten-year-old Gerry is the youngest member of the Durrell family, which also consists of Mother, pompous eldest son Larry, gun-mad second son Leslie, acne-ridden sister Margo, and Roger the dog. 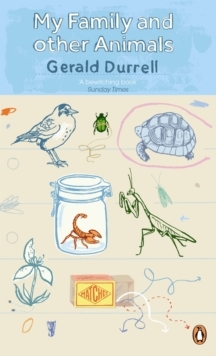 When they arrive in Corfu, Gerry is thrilled to find a paradise of exotic wildlife to be explored. Soon he is embarking on natural history expeditions, swimming in the clearblue sea and befriending the island's inhabitants.Gerry's relatives are less impressed with his exploits, especially when his burgeoning animal collection sparks chaos at the family's Christmas party... With a specially created soundtrack, this vivid adaptation takes the story out of the studio and into the Greek wilderness that enthralled Durrell the young naturalist.